November 14, 2005, 5:01 PM ESTAMSTERDAM, Netherlands — A sparrow knocked over 23,000 dominoes in the Netherlands, nearly ruining a world record attempt before it was shot to death Monday, the state news agency reported. 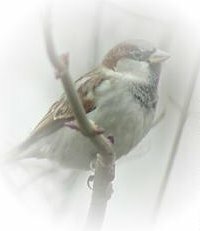 There has even been a web site set up in honor of the fallen sparrow, complete with condolences and up-to-the-minute news (all in Dutch). As of mid-December, the story was that the sparrow that was killed during the 2005 Domino Day event will end up in the Rotterdam Natural History Museum in the Netherlands. The bird had been preserved in a freezer since it was shot with an air rifle after knocking over 23,000 dominoes that had been set up for an attempt at a new domino-toppling record. The deceased domino-toppler will be displayed atop a box of dominoes in the museum as part of an exhibition on sparrows. The exterminator who killed the bird was fined 200 euro by Dutch prosecutors, because the common house sparrow had been placed on the nation’s endangered list.